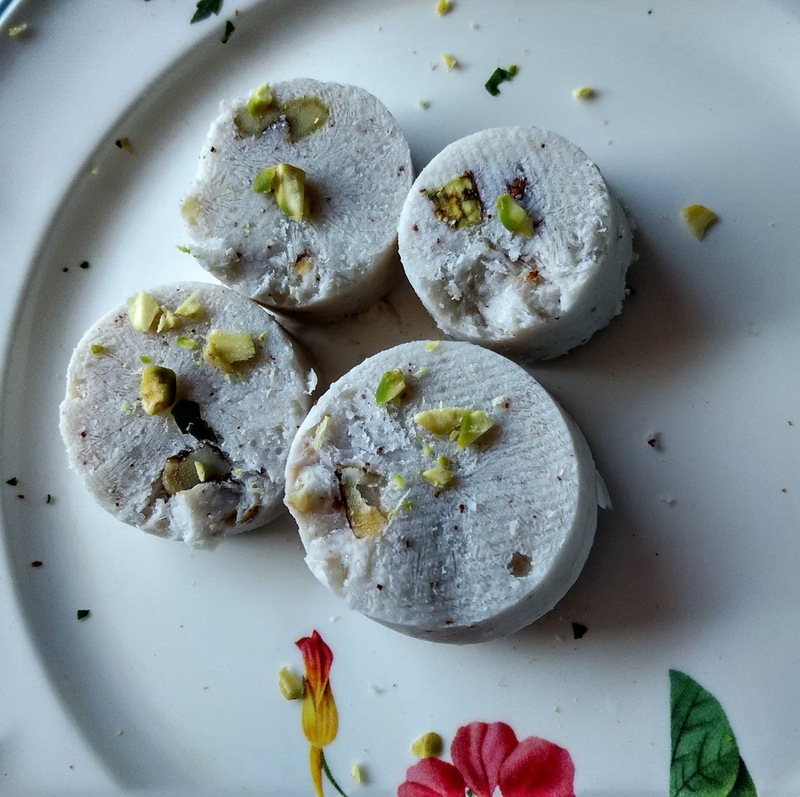 This no sugar kulfi or frozen delight is in continuation of my no milk, no cream, no sugar kulfi series. 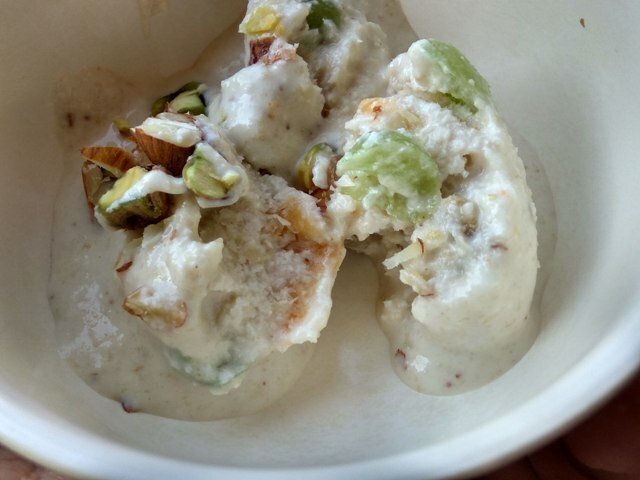 Perhaps healthy is the best word to define this kulfi mix. You love frozen desserts but are wary of guilty eating. Worry not! 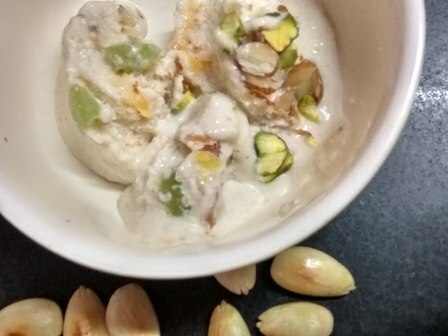 This luscious, creamy kulfi is another name of guilt-free indulgence. Okay, so let's get back to work. 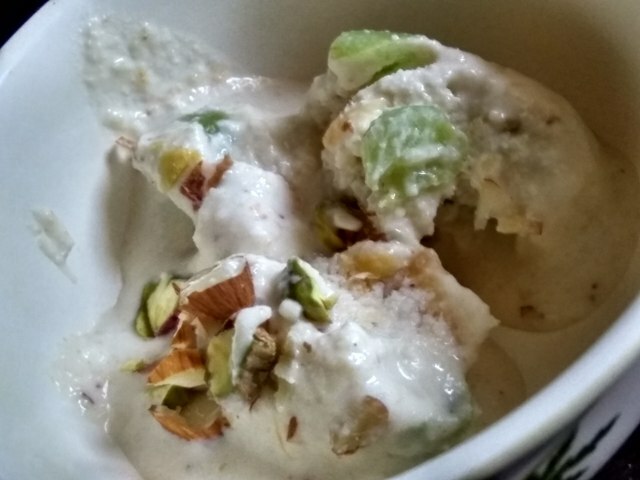 What do you look for in a kulfi ? Perhaps creamy, milky, frozen delight, isn;t it? 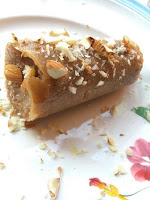 What if I say this oatmeal kulfi recipe gives you all that without the need to include any ingredient that you do not want to indulge in. Of course, cream and milk are quintessential to ice creams. But not any longer, for if you know how to make oatmeal delicious, you can create marvels with it. Do not believe my words? All I can say is try out all of my oat recipes and you will know why I love oats so much. There are more than 100+ oatmeal recipes in this blog. So you have a range of choices to turn bland oatmeal delicious. 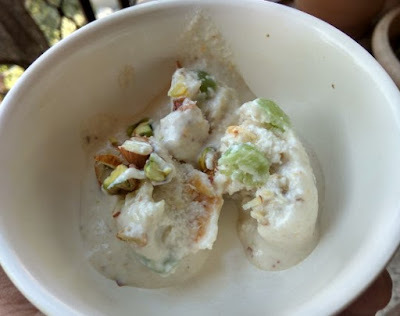 All right, so coming back to this oatmeal kulfi dessert recipe, I claim it will be a GOURMET addition to your summer desserts! 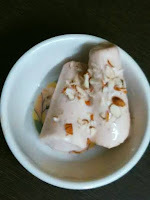 Trust my words or try out this simple yet healthy Indian kulfi recipe without milk, cream and amaze yourself with the yummiest fruity punch that you will get out of it. This is guilt-free indulgence from my end. Soak oatmeal in water. Keep aside. Take almond meal and grind it with water until you get milky consistency. You may add more water. Next add soaked oatmeal and fresh scrapped coconut. Run the processor again. The more we churn out the ingredients, the better. Now add hung curd, drymilk, and honey. Take out the creamy mixture in a bowl and add chopped fruits and garnish with nuts. Enjoy creamy frozen delight, without cream, milk, or sugar. Do write to me how you find this recipe. Perhaps I am looking for your feedback on this oatmeal kulfi series - pista kulfi, badam kulfi, and now fruity frozen delight! If you love mangoes, do try out another frozen delight with the king of fruits. 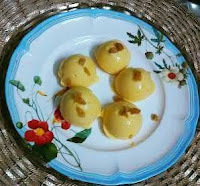 It is the yummiest mango kulfi ever, without cream.